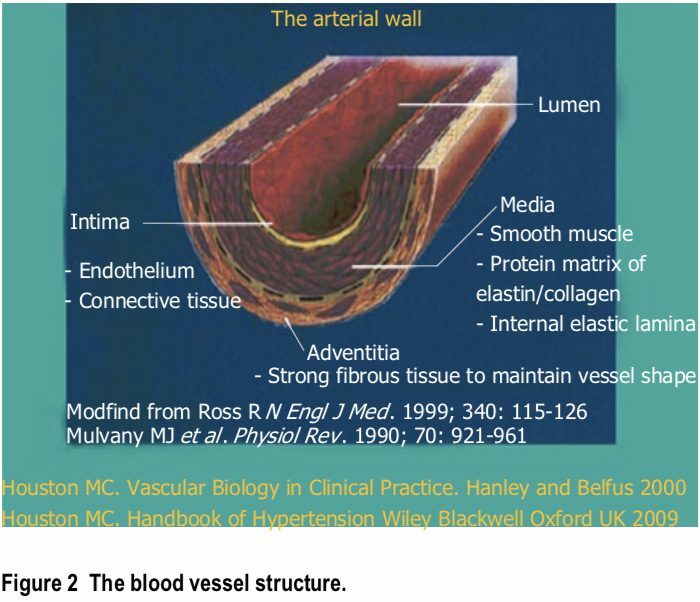 Vascular biology, endothelial and vascular smooth muscle and cardiac dysfunction play a primary role in the initiation and perpetuation of hypertension, cardiovascular disease and target organ damage. Nutrientgene interactions and epigenetics are predominant factors in promoting beneficial or detrimental effects in cardiovascular health and hypertension. Macronutrients and micronutrients can prevent, control and treat hypertension through numerous mechanisms related to vascular biology. Oxidative stress, inflammation and autoimmune dysfunction initiate and propagate hypertension and cardiovascular disease. 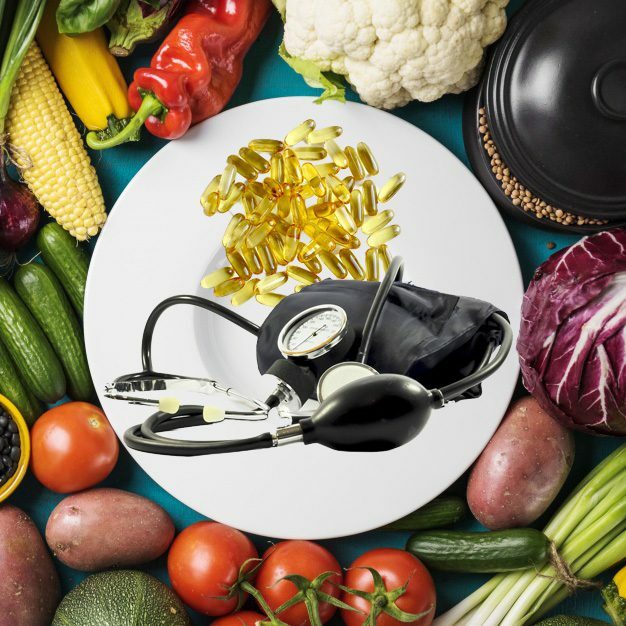 There is a role for the selected use of single and component nutraceutical supplements, vitamins, antioxidants and minerals in the treatment of hypertension based on scientifically controlled studies which complement optimal nutrition, coupled with other lifestyle modifications. stress, inflammation and autoimmune dysfunction initiate and propagate hypertension and cardiovascular disease. There is a role for the selected use of single and component nutraceutical supplements, vitamins, antioxidants and minerals in the treatment of hypertension based on scientifically controlled studies which complement optimal nutrition, coupled with other lifestyle modifications. is a consequence of the interaction of genetics and environment. Macronutrients and micronutrients are crucial in the regulation of blood pressure (BP) and subsequent target organ damage (TOD). Nutrient-gene interactions, subsequent gene expression, epigenetics, oxidative stress, inflammation and autoimmune vascular dysfunction have positive or negative influences on vascular biology in humans. 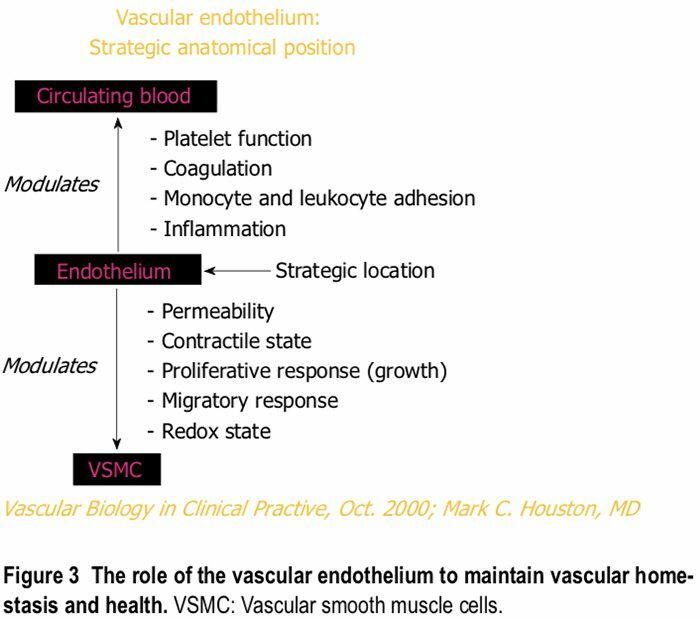 Endothelial activation with ED and vascular smooth muscle dysfunction (VSMD) initiate and perpetuate essential hypertension. 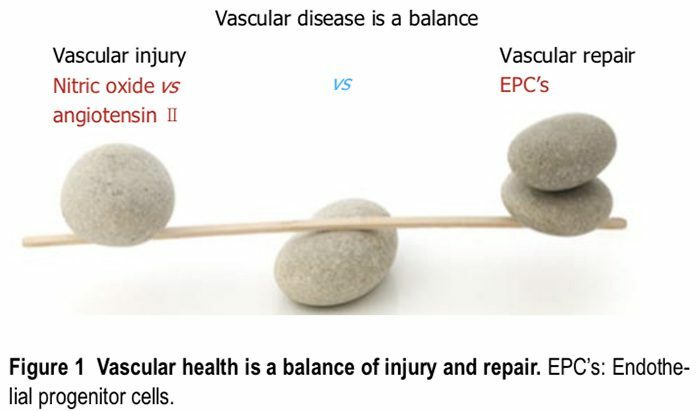 and improve vascular health, ED, vascular biology and cardiovascular events. accidents (CVA), renal disease, type 2 diabetes mellitus (T2DM), metabolic syndrome (MS) and obesity are some of these diseases[1,2]. 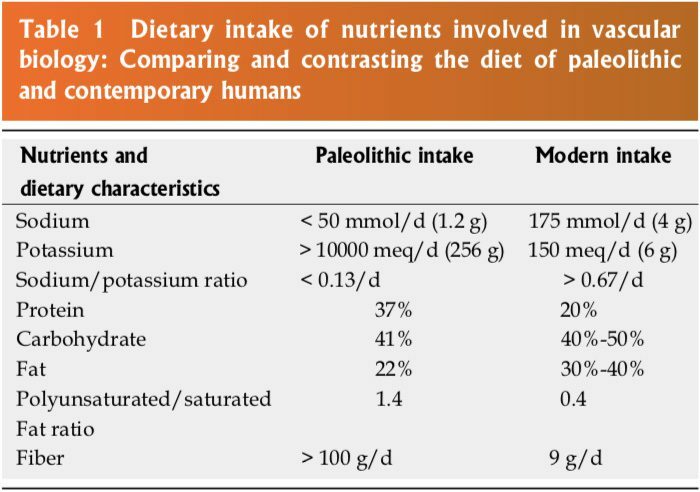 Table 1 contrasts intake of nutrients involved in BP regulation during the Paleolithic Era and modern time. Evolution from a pre-agricultural, hunter-gatherer milieu to an agricultural, refrigeration society has imposed an unnatural and unhealthful nutritional selection process. In sum, diet has changed more than our genetics can adapt. of omega-3 PUFA, increase in omega-6 PUFA, saturated fat and trans fatty acids. to provide vascular defense to the endothelial insults (Figure 6)[1,13-15]. Hypertension is a vasculopathy characterized by ED, structural remodeling, vascular inflammation, increased arterial stiffness, reduced distensibility and loss of elasticity. These insults are biomechanical (BP, pulse pressure, blood flow, oscillatory flow, turbulence, augmentation, pulse wave velocity and reflected waves) and biohumoral or biochemical which includes all the non-mechanical causes such as metabolic, endocrine, nutritional, toxic, infectious and other etiologies (Figure 4). In addition to the very well established connections for endocrine and nutritional causes of hypertension, toxins and infections also increase BP[16-20]. Various toxins such as polychlorinated biphenyls, mercury, lead, cadmium, arsenic and iron also increase BP and CVD[16,17]. programming and imprinting which is compounded by vascular aging[12-14]. heart rate variability and heart rate recovery time, which can be blocked by AT1R blockers[30,31]. leading to vasoconstriction. These events, along with the increases in oxidative stress and endothelin-1, elevate BP. receptor subunits and cytokine producing immune cells to influence vasoconstriction and BP. Local CNS inflammation or ischemia may mediate vascular inflammation and hypertension. independent risk factor for CVD and CHD through non-hemodynamic effects as well as through increased BP[42,43]. Blockade of mineralocorticoid receptors in the heart, brain, blood vessels and immune cells reduces CV risk even with the persistence of hypertension[42,43]. supplements, the antihypertensive effect is additive or synergistic. 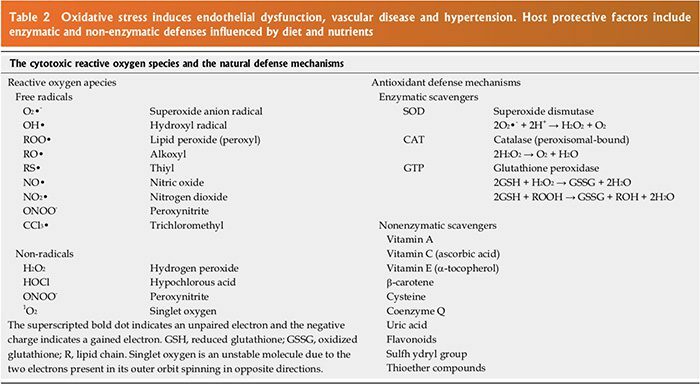 Table 3 summarizes these natural compounds into the major antihypertensive drug classes such as diuretics, beta blockers, central alpha agonists, direct vasodilators, calcium channel blockers (CCB’s), angiotensin converting enzyme inhibitors (ACEI’s), angiotensin receptor blockers (ARB’s) and direct renin inhibitors (DRI). The Dietary Approaches to Stop Hypertension (DASH) Ⅰand Ⅱ diets conclusively demonstrated significant reductions in BP in borderline and stageⅠhypertensive patients[44,45]. In DASHⅠuntreated hypertensive subjects with SBP < 160 mmHg and DBP 80-95 mmHg were placed on one of three diets for 4 wk, control diet, fruit and vegetable diet (F + V) and combined diet that added F + V and low fat dairy. DASH Ⅱ added progressive sodium restriction in each group. The control diet consisted of sodium at 3 g/d, potassium, magnesium and calcium at 25% of the US average, macronutrients at US average of 4 servings per day, a sodium/potassium ratio of 1.7 and fiber at 9 g/d. The F + V diet increased the potassium, magnesium and calcium to 75%, macronutrients to greater than the US average, a sodium potassium ratio of 0.7, 31 g of fiber and 8.5 servings of fruits and vegetables per day. The combined diet was similar to the F + V diet but added low fat dairy. At 2 wk the BP was decreased by 10.7/5.2 mmHg in the hypertensive patients in DASHⅠand 11.5/6.8 mmHg in the hypertensive patients in DASH Ⅱ. These reductions persisted as long as the patients were on the diet. The DASH diet increases plasma renin activity (PRA) and serum aldosterone levels in response to the BP reductions[46,47]. The mean increase in PRA was 37 ng/ml per day. There was an associated of response with the G46A polymorphism of beta 2 adrenergic receptor. The A allele of G46A had a greater BP reduction and blunted PRA and aldosterone. The arachidonic acid (AA) genotype had the best response and the GG genotype had no response. Adding an ARB, ACEI or DRI improved BP response to the DASH diet in the GG group due to blockade of the increase in PRA. A low sodium DASH diet decreases oxidative stress (urine F2-isoprostanes), improves vascular function (augmentation index) and lowers BP in salt sensitive subjects. In addition, plasma nitrite increased and pulse wave velocity decreased at week two on the DASH diet. The average sodium intake in the US is 5000 mg/d with some areas of the country consuming 15000-20000 mg/d. However, the minimal requirement for sodium is probably about 500 mg/d. Epidemiologic, observational and controlled clinical trials demonstrate that an increased sodium intake is associated with higher BP as well as increased risk for CVD, CVA, LVH, CHD, MI, renal insufficiency, proteinuria and over activity of the SNS[1,50]. A reduction in sodium intake in hypertensive patients, especially the salt sensitive patients, will significantly lower BP by 4-6/2-3 mmHg that is proportional to the degree of sodium restriction and may prevent or delay hypertension in high risk patients and reduce future CV events[51-53]. Salt sensitivity (≥ 10% increase in MAP with salt loading) occurs in about 51% of hypertensive patients and is a key factor in determining the cardiovascular, cerebrovascular, renal and BP responses to dietary salt intake. Cardiovascular events are more common in the salt sensitive patients than in salt resistant ones, independent of BP. An increased sodium intake has a direct positive correlation with BP and the risk of CVA and CHD. The risk is independent of BP for CVA with a relative risk of 1.04 to 1.25 from the lowest to the highest quartile. In addition, patients will convert to a nondipping BP pattern with increases in nocturnal BP as the sodium intake increases. Increased sodium intake has a direct adverse effect on endothelial cells[57-61]. Sodium promotes cutaneous lymphangiogenesis, increases endothelial cell stiffness, reduces size, surface area, volume, cytoskeleton, deformability and pliability, reduces eNOS and NO production, increases asymmetric dimethyl arginine (ADMA), oxidative stress and TGF-β. All of these abnormal vascular responses are increased in the presence of aldosterone[57-61]. These changes occur independent of BP and may be partially counteract by dietary potassium[57-61]. The endothelial cells act as vascular salt sensors. Endothelial cells are targets for aldosterone which activate epithelial sodium channels (ENaCs) and have a negative effects on release of NO and on endothelial function. The mechanical stiffness of the cell plasma membrane and the submembranous actin network (endothelial glcyocalyx) (“shell”) serve as a “firewall” to protect the endothelial cells and are regulated by serum sodium, potassium and aldosterone within the physiologic range. Changes in shear-stress-dependent activity of the endothelial NO synthase located in the caveolae regulate the viscosity in this “shell”. High plasma sodium gelates the shell of the endothelial cell, whereas the shell is fluidized by high potassium. These communications between extracellular ions and intracellular enzymes occur at the plasma membrane barrier, whereas 90% of the total cell mass remains uninvolved in these changes. Blockade of the ENaC with spironolactone (100%) or amiloride (84%) minimizes or stop many of these vascular endothelial responses and increase NO[58,63]. Nitric oxide release follows endothelial nanomechanics and not vice versa and membrane depolarization decreases vascular endothelial cell stiffness which improves flow mediated nitric-oxide dependent vasodilation[64,65]. In the presence of vascular inflammation and increased HS-CRP, the effects of aldosterone on the ENaC is enhanced further increasing vascular stiffness and BP. High sodium intake also abolishes the AT2Rmediated vasodilation immediately with complete abolition of endothelial vasodilation (EDV) within 30 d. Thus, it has become clear that increased dietary sodium has adverse effects on the vascular system, BP and CVD by altering the endothelial glycocalyx, which is a negatively charged biopolymer that lines the blood vessels and serves as a protective barrier against sodium overload, increased sodium permeability and sodium-induced TOD. Certain SNP’s of salt inducible kinaseⅠwhich alter Na+ /K+ ATPase, determine sodium induced hypertension and LVH. The sodium intake per day in hypertensive patients should be between 1500 to 2000 mg. Sodium restriction improves BP reduction in those on patients that are on pharmacologic treatment and the decrease in BP is additive with restriction of refined carbohydrates[70,71]. Reducing dietary sodium intake may reduce damage to the brain, heart, kidney and vasculature through mechanisms dependent on the small BP reduction as well as those independent of the decreased BP[72-75]. A balance of sodium with other nutrients, especially potassium, magnesium and calcium is important, not only in reducing and controlling BP, but also in decreasing cardiovascular and cerebrovascular events[3,72,73]. An increase in the sodium to potassium ratio is associated with significantly increased risk of CVD and all-cause mortality. The Yanomamo Indians consume and excrete only 1 meq of sodium in 24 h and consume and excrete 152 meq of potassium in 24 h. The Na+ to K+ ratio is 1/152 and is associated with elevated PRA, but BP does not increase with age. At age 50 the average BP in the Yanomamo is 100-108/64-69 mmHg. The average U.S. dietary intake of potassium (K+ ) is 45 mmol/d with a potassium to sodium (K+ /Na+ ) ratio of less than 1:2[10,74]. The recommended intake of K+ is 4700 mg/d (120 mmol) with a K+ /Na+ ratio of about 4-5 to 1[10,74]. Numerous epidemiologic, observational and clinical trials have demonstrated a significant reduction in BP with increased dietary K+ intake in both normotensive and hypertensive patients[10,74,76]. The average BP reduction with a K+ supplementation of 60 to 120 mmol/d is 4.4/2.5 mmHg in hypertensive patients but may be as much as 8/4.1 mmHg with 120 mmol/d (4700 mg)[10,74,76,77]. In hypertensive patients, the linear doseresponse relationship is 1.0 mmHg reduction in SBP and 0.52 mmHg reduction in diastolic BP per 0.6 g/d increase in dietary potassium intake that is independent of baseline dietary potassium ingestion. The response depends on race (black > white), sodium, magnesium and calcium intake. Those on a higher sodium intake have a greater reduction in BP with potassium. Alteration of the K+ /Na+ ratio to a higher level is important for both antihypertensive as well as cardiovascular and cerebrovascular effects[10,77]. High potassium intake reduces the incidence of cardiovascular (CHD, MI) and CVA independent of the BP reduction[10,74,76,77]. There are also reductions in CHF, LVH, diabetes mellitus and cardiac arrhythmias. If the serum potassium is less than 4.0 meq/dL, there is an increased risk of CVD mortality, ventricular tachycardia, ventricular fibrillation and CHF. Red blood cell potassium is a better indication of total body stores and CVD risk than is serum potassium. Gu et al found that potassium supplementation at 60 mmol of KCl per day for 12 wk significantly reduced SBP -5.0 mmHg (range -2.13 to -7.88 mmHg) (p < 0.001) in 150 Chinese men and women aged 35 to 64 years. Potassium increases natriuresis, modulates baroreflex sensitivity, vasodilates, decreases the sensitivity to catecholamines and Angiotensin Ⅱ, increases sodium potassium ATPase and DNA synthesis in the vascular smooth muscle cells and decreases SNS activity in cells with improved vascular function. In addition, potassium increases bradykinin and urinary kallikrein, decreases NADPH oxidase, which lowers oxidative stress and inflammation, improves insulin sensitivity, decreases ADMA, reduces intracellular sodium and lowers production of TGF-β. Each 1000 mg increase in potassium intake per day reduces all cause mortality by approximately 20%. Potassium intake of 4.7 g/d is estimated to decrease CVA by 8% to 15% and MI by 6%-11%. Numerous SNP’s such as nuclear receptor subfamily 3 group C, angiotensin Ⅱ type receptor and hydroxysteroid 11 beta dehydrogenase (HSD11B1 and B2) determine an individual’s response to dietary potassium intake. Each 1000 mg decrease in sodium intake per day will decrease all cause mortality by 20%[10,73]. A recent analysis suggested a dose related response to CVA with urinary potassium excretion. There was a RRR of CVA of 23% at 1.5-1.99 g, 27% at 2.0-2.49 g, 29% at 2.5-3 g and 32% over 3 g/d of potassium urinary excretion. The recommended daily dietary intake for patients with hypertension is 4.7 to 5.0 g of potassium and less than 1500 mg of sodium. Potassium in food or from supplementation should be reduced or used with caution in those patients with renal impairment or those on medications that increase renal potassium retention such as ACEI, ARB, DRI and serum aldosterone receptor antagonists. A high dietary intake of magnesium of at least 500-1000 mg/d reduces BP in most of the reported epidemiologic, observational and clinical trials, but the results are less consistent than those seen with Na+ and K+[74,80]. In most epidemiologic studies, there is an inverse relationship between dietary magnesium intake and BP[74,80,81]. A study of 60 essential hypertensive subjects given magnesium supplements showed a significant reduction in BP over an eight week period documented by 24 h ambulatory BP, home and office blood BP[74,80,81]. The maximum reduction in clinical trials has been 5.6/2.8 mmHg but some studies have shown no change in BP. The combination of high potassium and low sodium intake with increased magnesium intake had additive anti-hypertensive effects. Magnesium also increases the effectiveness of all anti-hypertensive drug classe. Magnesium competes with Na+ for binding sites on vascular smooth muscle and acts as a direct vasodilator, like a CCB. Magnesium increases prostaglandin E (PGE), regulates intracellular calcium, sodium, potassium and pH, increases nitric oxide, improves endothelial function, reduces oxLDL, reduces HS-CRP, TBxA2, A-Ⅱ, and norepinephrine. Magnesium also improves insulin resistance, glucose and MS, binds in a necessary-cooperative manner with potassium, inducing EDV and BP reduction, reduces CVD and cardiac arrhythmias, decreases carotid IMT, lowers cholesterol, lowers cytokine production, inhibits nuclear factor Kb, reduces oxidative stress and inhibits platelet aggregation to reduce thrombosis[74,80-86]. Magnesium is an essential co-factor for the delta6-desaturase enzyme that is the rate-limiting step for conversion of linoleic acid (LA) to gamma linolenic acid (GLA)[74,80,81,83-85] needed for synthesis of the vasodilator and platelet inhibitor PGE1. Altered TRPM7 channels, which are the transporter for magnesium occur in many hypertensive patients. A meta-analysis of 241378 patients with 6477 strokes showed an inverse relationship of dietary magnesium to the incidence of ischemic stroke. For each 100 mg of dietary magnesium intake, ischemic stroke was decreased by 8%. The proposed mechanism include inhibition of ischemia induced glutamate release, NMDA receptor blockade, CCB actions, mitochondrial calcium buffering, decrease in ATP depletion and vasodilation of the cerebral arteries. A meta-analysis showed reductions in BP of 3-4/2-3 mmHg in 22 trials of 1173 patients. Intracellular level of magnesium (RBC) is more indicative of total body stores and should be measured in conjunction with serum and urinary magnesium. Magnesium may be supplemented in doses of 500 to 1000 mg/d. Magnesium formulations chelated to an amino acid may improve absorption and decrease the incidence of diarrhea. Adding taurine at 1000 to 2000 mg/d will enhance the anti-hypertensive effects of magnesium. Magnesium supplements should be avoided or used with caution in patients with known renal insufficiency or in those taking medications that induce magnesium retention. Population studies show a link between hypertension and calcium, but clinical trials that administered calcium supplements to patients have shown inconsistent effects on BP. The heterogeneous responses to calcium supplementation have been explained by Resnick. This is the “ionic hypothesis” of hypertension, cardiovascular disease and associated metabolic, functional and structural disorders. Calcium supplementation is not recommended at this time as an effective means to reduce BP. Low serum zinc levels in observational studies correlate with hypertension as well as CHD, type Ⅱ DM, hyperlipidemia, elevated lipoprotein a [Lp(a)], increased 2 h post prandial plasma insulin levels and insulin resistance[90,91]. Zinc is transported into cardiac and vascular muscle and other tissues by metallothionein. Genetic deficiencies of metallothionein with intramuscular zinc deficiencies may lead to increased oxidative stress, mitochondrial dysfunction, cardiomyocyte dysfunction and apoptosis with subsequent myocardial fibrosis, abnormal cardiac remodeling, heart disease, heart failure, or hypertension. Intracellular calcium increases oxidative stress which is reduced by zinc. Bergomi et al evaluated Zinc (Zn++) status in 60 hypertensive subjects compared to 60 normotensive control subjects. An inverse correlation of BP and serum Zn++ was observed. The BP was also inversely correlated to a Zn++ dependent enzyme-lysyl oxidase activity. Zn++ inhibits gene expression and transcription through NF-κb and activated protein-1 and is an important cofactor for SOD[90,92]. These effects plus those on insulin resistance, membrane ion exchange, RAAS and SNS effects may account for Zn++ antihypertensive effects[90,92]. Zinc intake should be 50 mg/d. Observational and epidemiologic studies demonstrate a consistent association between a high protein intake and a reduction in BP and incident BP[94,95]. The protein source is an important factor in the BP effect; animal protein being less effective than non-animal or plant protein, especially almonds[94-97]. In the Inter-Salt Study of over 10000 subjects, those with a dietary protein intake 30% above the mean had a lower BP by 3.0/2.5 mmHg compared to those that were 30% below the mean (81 vs 44 g/d). However, lean or wild animal protein with less saturated fat and more essential omega-3 fatty acids may reduce BP, lipids and CHD risk[94,97]. A meta-analysis confirmed these findings and also suggested that hypertensive patients and the elderly have the greatest BP reduction with protein intake. Another meta-analysis of 40 trials with 3277 patients found reductions in BP of 1.76/1.15 mmHg compared to carbohydrate intake (p < 0.001). Both vegetable and animal protein significantly and equally reduced BP at 2.27/1.26 mmHg and 2.54/0.95 mmHg respectively. Increased dietary protein intake is inversely associated with risk for stroke in women with hypertension. A randomized cross-over study in 352 adults with pre-hypertension and stageⅠhypertension found a significant reduction in SBP of 2.0 mmHg with soy protein and 2.3 mmHg with milk protein compared to a high glycemic index diet over each of the 8 wk treatment periods. There was a non-significant reduction in DBP. Another RDB parallel study over 4 wk of 94 subjects with prehypertension and stageⅠhypertension found significant reductions on office BP of 4.9/2.7 mmHg in those given a combination of 25% protein intake vs the control group given 15% protein in an isocaloric manner. The protein consisted of 20% pea, 20% soy, 30% egg and 30% milk-protein isolate. The daily recommended intake of protein from all sources is 1.0 to 1.5 g/kg body weight, varying with exercise level, age, renal function and other factors[1,70,71]. Fermented milk supplemented with whey protein concentrate significantly reduces BP in human studies[102-106]. Administration of 20 g/d of hydrolyzed whey protein supplement rich in bioactive peptides significantly reduced BP over 6 wk by 8.0 ± 3.2 mmHg in SBP and 5.5 ± 2.1 mm in diastolic BP. Milk peptides which contain both caseins and whey proteins are a rich source of ACEI peptides. Val-Pro-Pro and Ile-Pro-Pro given at 5 to 60 mg/d have variable reductions in BP with an average decrease in pooled studies of about 1.28-4.8/0.59-2.2 mmHg[71,100,104-107]. However several recent meta-analysis did not show significant reductions in BP in humans[106,108]. Powdered fermented milk with Lactobacillus helveticus given at 12 g/d significantly lowered BP by 11.2/6.5 mmHg in 4 wk in one study. Milk peptides are beneficial in treating MS. A dose response study showed insignificant reductions in BP. The clinical response is attributed to fermented milk’s active peptides which inhibit ACE. Pins et al administered 20 g of hydrolyzed whey protein to 56 hypertensive subjects and noted a BP reduction of 11/7 mmHg compared to controls at one week that was sustained throughout the study. Whey protein is effective in improving lipids, insulin resistance, glucose, arterial stiffness and BP. These data indicate that the whey protein must be hydrolyzed in order to exhibit an antihypertensive effect, and the maximum BP response is dose dependent. Bovine casein-derived peptides and whey protein-derived peptides exhibit ACEI activity[102-111]. These components include B-caseins, B-lg fractions, B2-microglobulin and serum albumin[102-104,111]. The enzymatic hydrolysis of whey protein isolates releases ACEI peptides. Marine collagen peptides (MCPs) from deep sea fish have anti-hypertensive activity[113-115]. A double-blind placebo controlled trial in 100 hypertensive subjects with diabetes who received MCPs twice a day for 3 mo had significant reductions in DBP and mean arterial pressure. Bonito protein (Sarda Orientalis), from the tuna and mackerel family has natural ACEI inhibitory peptides and reduces BP 10.2/7 mmHg at 1.5 g/d[114,116]. Sardine muscle protein, which contains Valyl-Tyrosine (VAL-TYR), significantly lowers BP in hypertensive subjects. Kawasaki et al treated 29 hypertensive subjects with 3 mg of VAL-TYR sardine muscle concentrated extract for four wk and lowered BP 9.7/5.3 mmHg (p < 0.05). Levels of A-Ⅰincreased as serum A-Ⅱ and aldosterone decreased indicating that VAL-TYR is a natural ACEI. A similar study with a vegetable drink with sardine protein hydrolysates significantly lowered BP by 8/5 mmHg in 13 wk. Soy protein lowers BP in hypertensive patients in most studies[100,119-127]. Soy protein intake was significantly and inversely associated with both SBP and DBP in 45694 Chinese women consuming 25 g/d or more of soy protein over 3 years and the association increased with age. The SBP reduction was 1.9 to 4.9 mm lower and the DBP 0.9 to 2.2 mmHg lower. However, randomized clinical trials and meta-analysis have shown mixed results on BP with no change in BP to reductions of 7% to 10 % for SBP and DBP[121-125]. The recent meta-analysis of 27 trials found a significant reduction in BP of 2.21/1.44 mmHg. Some studies suggest improvement in endothelial function, improved arterial compliance, reduction in HS-CRP and inflammation, ACEI activity, reduction in sympathetic tone, diuretic action and reduction in both oxidative stress and aldosterone levels[125-127]. Fermented soy at about 25 g/d is recommended. In addition to ACEI effects, protein intake may also alter catecholamine responses and induce a natriuretic effect[117,118]. Low protein intake coupled with low omega 3 fatty acid intake may contribute to hypertension in animal models. The optimal protein intake, depending on level of activity, renal function, stress and other factors, is about 1.0 to 1.5 g/kg per day. L-arginine: L-arginine and endogenous methylarginines are the primary precursors for the production of NO, which has numerous beneficial cardiovascular effects, mediated through conversion of L-arginine to NO by eNOS. Patients with hypertension, hyperlipidemia, diabetes mellitus and atherosclerosis have increased levels of HSCRP and inflammation, increased microalbumin, low levels of apelin (stimulates NO in the endothelium), increased levels of arginase (breaks down arginine) and elevated serum levels of ADMA, which inactivates NO[129-133]. Under normal physiological conditions, intracellular arginine levels far exceed the Km [Michaelis Menton constant(MMC)] of eNOS which is less than 5 μmol. However, endogenous NO formation is dependent on extracellular arginine concentration. The intracellular concentrations of L-arginine are 0.1-3.8 mmol/L in endothelial cells while the plasma concentration of arginine is 80-120 μmol/L which is about 20-25 times greater than the MMC[135,136]. Despite this, cellular NO formation depends on exogenous L-arginine and this is the arginine paradox. Renal arginine regulates BP and blocks the formation of endothelin, reduces renal sodium reabsorption and is a potent antioxidant. The NO production in endothelial cells is closely coupled to cellular arginine uptake indicating that arginine transport mechanisms play a major role in the regulation of NO-dependent function. Exogenous arginine can increase renal vascular and tubular NO bioavailability and influence renal perfusion, function and BP. Molecular eNOS uncoupling may occur in the absence of tetrahydrobiopterin which stabilizes eNOS, which leads to production of ROS. Human studies in hypertensive and normotensive subjects of parenteral and oral administrations of L-arginine demonstrate an antihypertensive effect as well as improvement in coronary artery blood flow and peripheral blood flow in PAD[129,136-140]. The BP decreased by 6.2/6.8 mmHg on 10 g/d of L-arginine when provided as a supplement or though natural foods to a group of hypertensive subjects. Arginine produces a statistically and biologically significant decrease in BP and improved metabolic effect in normotensive and hypertensive humans that is similar in magnitude to that seen in the DASHⅠdiet. Arginine given at 4 g/d also significantly lowered BP in women with gestational hypertension without proteinuria, reduced the need for anti-hypertensive therapy, decreased maternal and neonatal complications and prolonged the pregnancy[137,138]. The combination of arginine (1200 mg/d) and N-acetyl cysteine (NAC) (600 mg bid) administered over 6 mo to hypertensive patients with type 2 diabetes, lowered SBP and DBP (p < 0.05), increased HDL-C, decreased LDL-C and oxLDL, reduced HSCRP, ICAM, VCAM, PAI-Ⅰ, fibrinogen and IMT. A study of 54 hypertensive subjects given arginine 4 g three times per day for four weeks had significant reductions in 24 h ABM. A meta-analysis of 11 trials with 383 subjects administered arginine 4-24 g/d found average reduction in BP of 5.39/2.66 mmHg (p < 0.001) in 4 wk. Although these doses of L-arginine appear to be safe, no long term studies in humans have been published at this time and there are concerns of a pro-oxidative effect or even an increase in mortality in patients who may have severely dysfunctional endothelium, advanced atherosclerosis, CHD, ACS or MI. In addition to the arginine-NO path, there exists an nitrate/nitrite pathway that is related to dietary nitrates from vegetables, beetroot juice and the DASH diet that are converted to nitrites by symbiotic, salivary, GI and oral bacteria. Administration of beetroot juice or extract at 500 mg/d will increase nitrites and lower BP, improve endothelial function, increase cerebral, coronary and peripheral blood flow. L-carnitine and acetyl -L-carnitine: L-carnitine is a nitrogenous constituent of muscle primarily involved in the oxidation of fatty acids in mammals. Animal studies indicate that carnitine has both systemic anti-hypertensive effects as well as anti-oxidant effects in the heart by upregulation of eNOS and PPAR gamma, inhibition of RAAS, modulation of NF-κB and down regulation of NOX2, NOX4, TGF-β and CTGF that reduces cardiac fibrosis[144,145]. Endothelial function, NO and oxidative defense are improved while oxidative stress and BP are reduced[144-147]. Human studies on the effects of L-carnitine and acetyl-L-carnitine are limited, with minimal to no change in BP[148-153]. In patients with MS, acetyl-L-carnitine at one gram bid over 8 wk, improved dysglycemia and reduced SBP by 7-9 mmHg, but diastolic BP was significantly decreased only in those with higher glucose. Low carnitine levels are associated with a nondipping BP pattern in Type 2 DM. Carnitine has antioxidant and antiinflammatory effects and may be useful in the treatment of essential hypertension, type Ⅱ DM with hypertension, hyperlipidemia, cardiac arrhythmias, CHF and cardiac ischemic syndromes[1,149,150,153]. Doses of 2-3 g twice per day are recommended. Taurine: Taurine is a sulfonic beta-amino acid that is considered a conditionally-essential amino acid, which is not utilized in protein synthesis, but is found free or in simple peptides with its highest concentration in the brain, retina and myocardium. In cardiomyocytes, it represents about 50% of the free amino acids and has a role of an osmoregulator, inotropic factor and antihypertensive agent. Human studies have noted that essential hypertensive subjects have reduced urinary taurine as well as other sulfur amino acids[1,154,155]. Taurine lowers BP, SVR and HR, decreases arrhythmias, CHF symptoms and SNS activity, increases urinary sodium and water excretion, increases atrial natriuretic factor, improves insulin resistance, increases NO and improves endothelial function. Taurine also decreases A-Ⅱ, PRA, aldosterone, SNS activity, plasma norepinephrine, plasma and urinary epinephrine, lowers homocysteine, improves insulin sensitivity, kinins and acetyl choline responsiveness, decreases intracellular calcium and sodium, lowers response to beta receptors and has antioxidant, anti-atherosclerotic and anti-inflammatory activities, decreases IMT and arterial stiffness and may protect from risk of CHD[1,154-160]. A lower urinary taurine is associated with increased risk of hypertension and CVD[160,161]. A study of 31 Japanese males with essential hypertension placed on an exercise program for 10 wk showed a 26% increase in taurine levels and a 287% increase in cysteine levels. The BP reduction of 14.8/6.6 mmHg was proportional to increases in serum taurine and reductions in plasma norepinephrine. Fujita et al demonstrated a reduction in BP of 9/4.1 mmHg (p < 0.05) in 19 hypertension subjects given 6 g of taurine for 7 d. Taurine has numerous beneficial effects on the cardiovascular system and BP. The recommended dose of taurine is 2 to 3 g/d at which no adverse effects are noted, but higher doses up to 6 g/d may be needed to reduce BP significantly[1,70,71,154-162]. The omega-3 fatty acids found in cold water fish, fish oils, flax, flax seed, flax oil and nuts lower BP in observational, epidemiologic and in prospective clinical trials[163-173]. The findings are strengthened by a dose-related response in hypertension as well as a relationship to the specific concomitant diseases associated with hypertension[163-173]. Studies indicate that DHA at 2 g/d reduces BP and heart rate[163,173]. The average reduction in BP is 8/5 mmHg and heart rate falls about 6 beats/min usually in about 6 wk[1,70,71,91-175]. Fish oil at 4-9 g/d or combination of DHA and EPA at 3-5 g/d will also reduce BP[1,168-173]. However, formation of EPA and ultimately DHA from ALA is decreased in the presence of high LA (the essential omega-6 fatty acid), saturated fats, trans fatty acids, alcohol, several nutrient deficiencies (magnesium, vitamin B6) and aging, all of which inhibit the desaturase enzymes. Eating cold water fish three times per week may be as effective as high dose fish oil in reducing BP in hypertensive patients, and the protein in the fish may also have antihypertensive effects[1,163]. In patients with chronic kidney disease 4 g of omega 3 fatty acids reduced BP measured with 24 h ABM over 8 wk by 3.3/2.9 mmHg compared to placebo (p < 0.0001). The ideal ratio of omega-6 FA to omega-3 FA is between 1:1 to 1:4 with a polyunsaturated to saturated fat ratio greater than 1.5 to 2:0. Omega 3 fatty acids increase eNOS and nitric oxide, improve endothelial function, improve insulin sensitivity, reduce calcium influx, suppress ACE activity and improve parasympathetic tone[1,163-171]. The omega-6 FA family includes LA, GLA, dihomo-GLA and AA which do not usually lower BP significantly, but may prevent increases in BP induced by saturated fats. GLA may block stress-induced hypertension by increasing PGE1 and PGI2, reducing aldosterone levels, reducing adrenal AT1R density and affinity. The omega-3 FA have a multitude of other cardiovascular consequences which modulates BP such as increases in eNOS and nitric oxide, improvement in ED, reduction in plasma nor-epinephrine and increase in paraSNS tone, suppression of ACE activity and improvement in insulin resistance. The recommended daily dose is 3000 to 5000 mg/d of combined DHA and EPA in a ratio of 3 parts EPA to 2 parts DHA and about 50% of this dose as GLA combined with gamma/delta tocopherol at 100 mg per gram of DHA and EPA to get the omega 3 index to 8% or higher to reduce BP and provide optimal cardioprotection. DHA is more effective than EPA for reducing BP and should be given at 2 g/d if administered alone[163,173]. Olive oil is rich in the omega-9 monounsaturated fat (MUFA) oleic acid, which has been associated with BP and lipid reduction in Mediterranean and other diets[178-180]. Olive oil and MUFAs have shown consistent reductions in BP in most clinical studies in humans[178-190]. In one study, the SBP fell 8 mmHg (p ≤ 0.05) and the DBP fell 6 mmHg (p ≤ 0.01) in both clinic and 24 h ambulatory BP monitoring in the MUFA treated subjects compared to the PUFA treated subjects. In addition, the need for antihypertensive medications was reduced by 48% in the MUFA group vs 4% in the omega-6 PUFA group (p < 0.005). Extra virgin olive oil (EVOO) was more effective than sunflower oil in lowering SBP in a group of 31 elderly hypertensive patients in a double blind randomized crossover study. The SBP was 136 mmHg in the EVOO treated subjects vs 150 mmHg in the sunflower treated group (p < 0.01). Olive oil also reduces BP in hypertensive diabetic subjects. It is the high oleic acid content in olive oil that reduces BP. In stageⅠhypertensive patients, oleuropein-olive leaf (Olea Eurpoaea) extract 500 mg bid for 8 wk reduced BP 11.5/4.8 mmHg which was similar to captopril 25 mg bid. Olea Eupopea L aqueous extract administered to 12 patients with hypertension at 400 mg qid for 3 mo significantly reduced BP (p < 0.001). Olive oil intake in the EPIC study of 20343 subjects was inversely associated with both systolic and diastolic BP. In the SUN study of 6863 subjects, BP was inversely associated with olive oil consumption, but only in men. In a study of 40 hypertensive monozygotic twins, olive leaf extract demonstrated a dose response reduction in BP at doses of 500 to 1000 mg/d in 8 wk compared to placebo. The low dose groups decreased BP 3/1 mmHg and the high dose 11/4 mmHg. A double blind, randomized, crossover dietary intervention study over 4 mo using polyphenol rich olive oil 30 mg/d decreased BP in the study group by 7.91/6.65 mmHg and improved endothelial function. The ADMA levels, oxLDL and HS-CRP were reduced in the olive oil group. Plasma nitrites and nitrates increased and hyperemic area after ischemia improved in the treated group. Olive oil inhibits the AT1R receptor, exerts L-type calcium channel antagonist effects and improves wave reflections and augmentation index[191-193]. EVOO is also contains lipid-soluble phytonutrients such as polyphenols. Approximately 5 mg of phenols are found in 10 g of EVOO[178,186]. About 4 tablespoons of EVOO is equal to 40 g of EVOO which is the amount required to get significant reductions in BP. The clinical trials with various types of fiber to reduce BP have been inconsistent[194,195]. Soluble fiber, guar gum, guava, psyllium and oat bran may reduce BP and reduce the need for antihypertensive medications in hypertensive subjects, diabetic subjects and hypertensive-diabetic subjects[1,70,71,194,195]. The average reduction in BP is about 7.5/5.5 mmHg on 40 to 50 g/d of a mixed fiber. There is improvement in insulin sensitivity, endothelial function, reduction in SNS activity and increase in renal sodium loss[1,70,71,194]. Vitamin C is a potent water-soluble electron-donor. At physiologic levels it is an antioxidant although at supraphysiologic doses such as those achieved with intravenous vitamin C it donates electrons to different enzymes which results in pro-oxidative effects. At physiologic doses vitamin C recycles vitamin E, improves ED and produces a diuresis. Dietary intake of vitamin C and plasma ascorbate concentration in humans is inversely correlated to SBP, DBP and heart rate[196-210]. An evaluation of published clinical trials indicate that vitamin C dosing at 250 mg twice daily will significantly lower SBP 5-7 mmHg and diastolic BP 2-4 mmHg over 8 wk[196-210]. Vitamin C will induce a sodium water diuresis, improve arterial compliance, improve endothelial function, increase nitric oxide and PGI2, decrease adrenal steroid production, improve sympathovagal balance, increase RBC Na/K ATPase, increase SOD, improve aortic elasticity and compliance, improve flow mediated vasodilation, decrease pulse wave velocity and augmentation index, increase cyclic GMP, activate potassium channels, reduce cytosolic calcium and reduce serum aldehydes. Vitamin C prevents ED induced by an oral glucose load. Vitamin C enhances the efficacy of amlodipine, decreases the binding affinity of the AT 1 receptor for angiotensin Ⅱ by disrupting the ATR1 disulfide bridges and enhances the anti-hypertensive effects of medications in the elderly with refractory hypertension[1,70,71,200-205]. In elderly patients with refractory hypertension already on maximum pharmacologic therapy, 600 mg of vitamin C daily lowered the BP by 20/16 mmHg. The lower the initial ascorbate serum level, the better is the BP response. A serum level of 100 μmol/L is recommended[1,70,71]. The SBP and 24 ABM show the most significant reductions with chronic oral administration of Vitamin C[200-205]. Block et al in an elegant depletion-repletion study of vitamin C demonstrated an inverse correlation of plasma ascorbate levels, SBP and DBP. In a meta-analysis of thirteen clinical trials with 284 patients, vitamin C at 500 mg/d over 6 wk reduced SBP 3.9 mmHg and DBP 2.1 mmHg. Hypertensive subjects were found to have significantly lower plasma ascorbate levels compared to normotensive subjects (40 μmol/L vs 57 μmol/L respectively), and plasma ascorbate is inversely correlated with BP even in healthy, normotensive individuals. Most studies have not shown reductions in BP with most forms of tocopherols or tocotrienols[1,70,71]. Patients with T2DM and controlled hypertension (130/76 mmHg) on prescription medications with an average BP of 136/76 mmHg were administered mixed tocopherols containing 60% gamma, 25% delta and 15% alpha tocopherols. The BP actually increased by 6.8/3.6 mmHg in the study patients (p < 0.0001) but was less compared to the increase with alpha tocopherol of 7/5.3 mmHg (p < 0.0001). This may be a reflection of drug interactions with tocopherols via cytochrome P 450 (3A4 and 4F2) and reduction in the serum levels of the pharmacologic treatments that were simultaneously being given. Gamma tocopherol may have natriuretic effects by inhibition of the 70pS potassium channel in the thick ascending limb of the loop of Henle and lower BP. Both alpha and gamma tocopherol improve insulin sensitivity and enhance adiponectin expression via PPAR gamma dependent processes, which have the potential to lower BP and serum glucose. If vitamin E has an antihypertensive effect, it is probably small and may be limited to untreated hypertensive patients or those with known vascular disease or other concomitant problems such as diabetes or hyperlipidemia. Vitamin D3 may have an independent and direct role in the regulation of BP and insulin metabolism[215-225]. Vitamin D influences BP by its effects on calcium-phosphate metabolism, RAA system, immune system, control of endocrine glands and ED. If the Vitamin D level is below 30 ng/ml the circulating PRA levels are higher which increases angiotensin Ⅱ, increases BP and blunts plasma renal blood flow. The lower the level of Vitamin D, the greater the risk of hypertension, with the lowest quartile of serum Vitamin D having a 52% incidence of hypertension and the highest quartile having a 20% incidence. Vitamin D3 markedly suppresses renin transcription by a VDR-mediated mechanism via the JGA apparatus. Its role in electrolytes, volume and BP homeostasis indicates that Vitamin D3 is important in amelioration of hypertension. Vitamin D lower ADMA, suppresses pro-inflammatory cytokines such as TNF-α, increases nitric oxide, improves endothelial function and arterial elasticity, decreases vascular smooth muscle hypertrophy, regulates electrolytes and blood volume, increases insulin sensitivity, reduces free fatty acid concentration, regulates the expression of the natriuretic peptide receptor and lowers HS-CRP[217-219,221]. The hypotensive effect of vitamin D was inversely related to the pretreatment serum levels of 1,25(OH)2D3 and additive to antihypertensive medications. Pfeifer et al showed that short-term supplementation with vitamin D3 and calcium is more effective in reducing SBP than calcium alone. In a group of 148 women with low 25(OH)2D3 levels, the administration of 1200 mg calcium plus 800 IU of vitamin D3 reduced SBP 9.3% more (p < 0.02) compared to 1200 mg of calcium alone. The HR fell 5.4% (p = 0.02), but DBP was not changed. The range in BP reduction was 3.6/3.1 to 13.1/7.2 mmHg. The reduction in BP is related to the pretreatment level of vitamin D3, the dose of vitamin D3 and serum level of vitamin D3, but BP is reduced only in hypertensive patients. Although vitamin D deficiency is associated with hypertension in observational studies, randomized clinical trials and their meta-analysis have yielded inconclusive results. In addition, vitamin D receptor gene polymorphisms may effect the risk of hypertension in men. A 25 hydroxyvitamin D level of 60 ng/ml is recommended. Low serum vitamin B6 (pyridoxine) levels are associated with hypertension in humans. One human study by Aybak et al proved that high dose vitamin B6 at 5 mg/kg per day for 4 wk significantly lowered BP by 14/10 mmHg. Pyridoxine (vitamin B6) is a cofactor in neurotransmitter and hormone synthesis in the central nervous system(norepinephrine, epinephrine, serotonin, GABA and kynurenine), increases cysteine synthesis to neutralize aldehydes, enhances the production of glutathione, blocks calcium channels, improves insulin resistance, decreases central sympathetic tone and reduces end organ responsiveness to glucocorticoids and mineralocorticoids[1,70,71,228,229]. Vitamin B6 is reduced with chronic diuretic therapy and heme pyrollactams. Vitamin B6 thus has similar action to central alpha agonists, diuretics and CCB’s. The recommended dose is 200 mg/d orally. Over 4000 naturally occurring flavonoids have been identified in such diverse substances as fruits, vegetables, red wine, tea, soy and licorice. Flavonoids (flavonols, flavones and isoflavones) are potent free radical scavengers that inhibit lipid peroxidation, prevent atherosclerosis, promote vascular relaxation and have antihypertensive properties. In addition, they reduce stroke and provide cardioprotective effects that reduce CHD morbidity and mortality. Resveratrol is a potent antioxidant and antihypertensive found in the skin of red grapes and in red wine. Resveratrol administration to humans reduces augmentation index, improves arterial compliance and lowers central arterial pressure when administered as 250 ml of either regular or dealcoholized red wine. There was a significant reduction in the aortic augmentation index of 6.1% with the dealcoholized red wine and 10.5% with regular red wine. The central arterial pressure was significantly reduced by dealcoholized red wine at 7.4 mmHg and 5.4 mmHg by regular red wine. Resveratrol increases flow mediated vasodilation in a dose related manner, improves ED, prevents uncoupling of eNOS, increases adiponectin, lowers HS-CRP and blocks the effects of angiotensin Ⅱ[233-236]. The recommended dose is 250 mg/d of trans resveratrol. Lycopene is a fat-soluble phytonutrient in the carotenoid family. Dietary sources include tomatoes, guava, pink grapefruit, watermelon, apricots and papaya in high concentrations[237-241]. Lycopene produces a significant reduction in BP, serum lipids and oxidative stress markers[237-241]. Paran et al evaluated 30 subjects with GradeⅠhypertension, age 40-65, taking no antihypertensive or anti-lipid medications treated with a tomato lycopene extract (10 mg lycopene) for eight weeks. The SBP was reduced from 144 to 135 mmHg (9 mmHg reduction, p < 0.01) and DBP fell from 91 to 84 mmHg (7 mmHg reduction, p < 0.01). Another study of 35 subjects with GradeⅠhypertension showed similar results on SBP, but not DBP. Englehard gave a tomato extract to 31 hypertensive subjects over 12 wk demonstrating a significant BP reduction of 10/4 mmHg. Patients on various anti-hypertensive agents including ACEI, CCB and diuretics had a significant BP reduction of 5.4/3 mmHg over 6 wk when administered a standardized tomato extract. Other studies have not shown changes in BP with lycopene. Lycopene and tomato extract improve ED and reduce plasma total oxidative stress. The recommended daily intake of lycopene is 10-20 mg in food or supplement form. Pycnogenol, a bark extract from the French maritime pine, at doses of 200 mg/d resulted in a significant reduction in SBP from 139.9 mmHg to 132.7 mmHg (p < 0.05) in eleven patients with mild hypertension over eight weeks in a double-blind randomized placebo crossover trial. Diastolic BP fell from 93.8 mmHg to 92.0 mmHg. Pycnogenol acts as a natural ACEI, protects cell membranes from oxidative stress, increases NO and improves endothelial function, reduces serum thromboxane concentrations, decreases myelo-peroxidase activity, improves renal cortical blood flow, reduces urinary albumin excretion and decreases HS-CRP[243-247]. Other studies have shown reductions in BP and a decreased need for ACEI and CCB, reductions in endothelin-1, HgA1C, fasting glucose, LDL-C and myeloperoxidase[244,245,247]. Clinical trials utilizing the correct dose, type of garlic and well absorbed long acting preparations have shown consistent reductions in BP in hypertensive patients with an average reduction in BP of 8.4/7.3 mmHg[248,249]. Not all garlic preparations are processed similarly and are not comparable in antihypertensive potency. In addition, cultivated garlic (allium sativum), wild uncultivated garlic or bear garlic (allium urisinum) as well as the effects of aged, fresh and long acting garlic preparations differ[1,70,71,248,249]. Garlic is also effective in reducing BP in patients with uncontrolled hypertension already on anti-hypertensive medication[249,250]. A garlic homogenate-based supplement was administered to 34 prehypertensive and stageⅠhypertensive patients at 300 mg/d over 12 wk with a reduction in BP of 6.6-7.5/4.6-5.2 mmHg. Aged garlic at doses of 240 to 960 mg/d given to 79 hypertensive subjects over 12 wk significantly lowered SBP 11.8 ± 5.4 mmHg in the high dose garlic group. A time released garlic may reduce BP better than the shorter acting garlic. A Cochrane Database review indicated a net reduction in BP of 10-12/6-9 mmHg in all clinical trials with garlic. In a double-blind parallel randomized placebo-controlled trial of 50 patients, 900 mg of aged garlic extract with 2.4 mg of S-allylcysteine was administered daily for 12 wk and reduced SBP 10.2 mmHg (p = 0.03) more than the control group. Approximately 10000 mcg of allicin (one of the active ingredients in garlic) per day, the amount contained in four cloves of garlic (5 g) is required to achieve a significant BP lowering effect[1,70,71,249,250]. Garlic has ACEI activity, calcium channel blocking activity, reduces catecholamine sensitivity, improves arterial compliance, increases bradykinin and nitric oxide and contains adenosine, magnesium, flavonoids, sulfur, allicin, phosphorous and ajoenes that reduce BP[1,70,71]. Wakame seaweed (Undaria pinnatifida) is the most popular, edible seaweed in Japan. In humans, 3.3 g of dried Wakame for four wk significantly reduced both the SBP 14 ± 3 mmHg and the DBP 5 ± 2 mmHg (p < 0.01). In a study of 62 middle-aged, male subjects with mild hypertension given a potassium-loaded, ion-exchanging, sodium-adsorbing, potassium-releasing seaweed preparation, significant BP reductions occurred at four weeks on 12 and 24 g/d of the seaweed preparation (p < 0.01). The MAP fell 11.2 mmHg (p < 0.001) in the sodium-sensitive subjects and 5.7 mmHg (p < 0.05) in the sodiuminsensitive subjects, which correlated with PRA. Seaweed and sea vegetables contain most all of the seawater’s 77I minerals and rare earth elements, fiber and alginate in a colloidal form[251-253]. The primary effect of Wakame appears to be through its ACEI activity from at least four parent tetrapeptides and possibly their dipeptide and tripeptide metabolites, especially those containing the amino acid sequence Val-Tyr, Ile-Tyr, Phe-Tyr and Ile-Try in some combination[251,254,255]. Its long-term use in Japan has demonstrated its safety. Other varieties of seaweed may reduce BP by reducing intestinal sodium absorption and increasing intestinal potassium absorption. Sesame has been shown to reduce BP in a several small randomized, placebo controlled human studies over 30-60 d[256-264]. Sesame lowers BP alone[257-261] or in combination with nifedipine[256,260] diuretics and beta blockers[257,261]. In a group of 13 mild hypertensive subjects, 60 mg of sesamin for 4 wk lowered SBP 3.5 mmHg (p < 0.044) and DBP 1.9 mmHg (p < 0.045). Black sesame meal at 2.52 g/d over 4 wk in 15 subjects reduced SBP by 8.3 mmHg (p < 0.05) but there was a non-significant reduction in DBP of 4.2 mmHg. Sesame oil at 35 g/d significantly lowered central BP within 1 h and also maintained BP reduction chronically in 30 hypertensive subjects, reduced heart rate, reduced arterial stiffness, decreased augmentation index and pulse wave velocity, decreased HSCRP, improved NO, decreased endothelinⅠand improved antioxidant capacity. In addition sesame lowers serum glucose, HgbAIC and LDL-C, increases HDL, reduces oxidative stress markers and increases glutathione, SOD, GPx, CAT, vitamins C, E and A[256,257,258-261]. The active ingredients are natural ACEI’s such as sesamin, sesamolin, sesaminol glucosides, furoufuran lignans which also suppressors of NF-κB[262,263]. All of these effects lower inflammation and oxidative stress, improve oxidative defense and reduce BP[262,263]. Green tea, black tea and extracts of active components in both have demonstrated reduction in BP in humans[265-271]. In a double blind placebo controlled trial of 379 hypertensive subjects given green tea extract 370 mg/d for 3 mo, BP was reduced significantly at 4/4 mmHg with simultaneous decrease in HS CRP, TNF-α, glucose and insulin levels. Dark chocolate (100 g) and cocoa with a high content of polyphenols (30 mg or more) have been shown to significantly reduce BP in humans[272-283]. A metaanalysis of 173 hypertensive subjects given cocoa for a mean duration of 2 wk had a significant reduction in BP 4.7/2.8 mmHg (p = 0.002 for SBP and 0.006 for DBP). Fifteen subjects given 100 g of dark chocolate with 500 mg of poly-phenols for 15 d had a 6.4 mmHg reduction in SBP (p < 0.05) with a non significant change in DBP. Cocoa at 30 mg of poly-phenols reduced BP in pre-hypertensive and stageⅠhypertensive patients by 2.9/1.9 mmHg at 18 wk (p < 0.001). Two more recent meta-analysis of 13 trials and 10 trials with 297 patients found a significant reduction in BP of 3.2/2.0 mmHg and 4.5/3.2 mmHg respectively[276,279]. The BP reduction is the greatest in those with the highest baseline BP and those with at least 50%-70% cocoa at doses of 6 to 100 g/d[280,282]. Cocoa may also improve insulin resistance and endothelial function[276,279,281]. Polyphenols, chlorogenic acids (CGAs), the ferulic acid metabolite of CGAs and di-hydro-caffeic acids decrease BP in a dose dependent manner, increase eNOS and improve endothelial function in humans[284-286]. CGAs in green coffee been extract at doses of 140 mg/d significantly reduced SBP and DBP in 28 subjects in a placebocontrolled randomized clinical trial. A study of 122 male subjects demonstrated a dose response in SBP and DBP with doses of CGA from 46 mg/d to 185 mg/d. The group that received the 185 mg dose had a significant reduction in BP of 5.6/3.9 mmHg (p < 0.01) over 28 d. Hydroxyhydroquinone is another component of coffee beans which reduces the efficacy of CGAs in a dosedependent manner which partially explains the conflicting results of coffee ingestion on BP[284,286]. Furthermore, there is genetic variation in the enzyme responsible for the metabolism of caffeine modifies the association between coffee intake, amount of coffee ingested and the risk of hypertension, heart rate, MI, arterial stiffness, arterial wave reflections and urinary catecholamine levels. Fifty-nine percent of the population has theⅠ F/ⅠA allele of the CYP1A2 genotype which confers slow metabolism of caffeine. Heavy coffee drinkers who are slow metabolizers had a 3.00 HR for developing hypertension. In contrast, fast metabolizers with theⅠA/Ⅰ A allele have a 0.36 HR for incident hypertension. Melatonin demonstrates significant anti-hypertensive effects in humans in a numerous double-blind randomized placebo controlled clinical trials at 3-5 mg/d[289-299]. The average reduction in BP is 6/3 mmHg. Melatonin stimulates GABA receptors in the CNS and vascular melatonin receptors, inhibits plasma A Ⅱ levels, improves endothelial function, increases NO, vasodilates, improves nocturnal dipping, lowers cortisol and is additive with ARBs. Beta blockers reduce melatonin secretion. Hesperidin significantly lowered DBP 3-4 mmHg (p < 0.02) and improved microvascular endothelial reactivity in 24 obese hypertensive male subjects in a randomized, controlled crossover study over 4 wk for each of three treatment groups consuming 500 ml of orange juice, hesperidin or placebo. Pomegranate juice is rich in tannins and has numerous other properties that improve vascular health and reduces the SBP by 5%-12%[302,303]. A study of 51 healthy subjects given 330 mg/d of pomegranate juice had reduction in BP of 3.14/2.33 mmHg (p < 0.001). Pomegranate juice also suppresses the postprandial increase in SBP following a high-fat meal. Pomegranate juice reduces serum ACE activity by 36%, and has anti-atherogenic, antioxidant and anti-inflammatory effects[302,303]. Pomegranate juice at 50 ml/d reduced carotid IMT by 30% over one year, increased PON 83%, decreased oxLDL by 59%-90%, decreased antibodies to oxLDL by 19%, increased total antioxidant status by 130 %, reduced TGF-β, increased catalase, SOD and GPx, increased eNOS and NO and improved endothelial function[304,305] Pomegranate juice works like an ACEI. Grape seed extract (GSE) was administered to subjects in nine randomized trials, meta-analysis of 390 subjects and demonstrated a significant reduction in SBP of 1.54 mmHg (P < 0.02)[304,305]. Significant reduction in BP of 11/8 mmHg (P < 0.05) were seen in another dose response study with 150 to 300 mg/d of GSE over 4 wk. GSE has high phenolic content which activates the PI3K/Akt signaling pathway that phosphorylates eNOS and increases NO[306,307]. Coenzyme Q10 has consistent and significant antihypertensive effects in patients with essential hypertension[1,308-317]. The literature is summarized below: (1) Compared to normotensive patients, essential hypertensive patients have a higher incidence (6 fold) of coenzyme Q10 deficiency documented by serum levels; (2) Doses of 120 to 225 mg/d of coenzyme Q10, depending on the delivery method or the concomitant ingestion with a fatty meal, are necessary to achieve a therapeutic level of 3 ug/ml[1,313,314]. This dose is usually 3-5 mg/kg per day of coenzyme Q10. Oral dosing levels may become lower with nanoparticle and emulsion delivery systems intended to facilitate absorption. Adverse effects have not been characterized in the literature; (3) Patients with the lowest coenzyme Q10 serum levels may have the best antihypertensive response to supplementation; (4) The average reduction in BP is about 15/10 mmHg and heart rate falls 5 beats/min based on reported studies and metaanalysis; (5) The antihypertensive effect takes time to reach its peak level at 4 wk. Then the BP remains stable during long term treatment. The antihypertensive effect is gone within two weeks after discontinuation of coenzyme Q10. The reduction in BP and SVR are correlated with the pretreatment and post treatment serum levels of coenzyme Q10. About 50% of patients respond to oral coenzyme Q10 supplementation for BP; (6) Approximately 50% of patients on antihypertensive drugs may be able to stop between one and three agents. Both total dose and frequency of administration may be reduced. (7) Patients administered coenzyme Q10 with enalapril improved the 24 h ABM better than with enalapril monotherapy and also normalized endothelial function; and (8) Coenzyme Q10 is a lipid phase antioxidant and free radical scavenger, increases eNOS and NO, reduces inflammation and NF-κB and improves endothelial function and vascular elasticity[1,311,312]. Other favorable effects on cardiovascular risk factors include improvement in the serum lipid profile and carbohydrate metabolism with reduced glucose and improved insulin sensitivity, reduced oxidative stress, reduced heart rate, improved myocardial LV function and oxygen delivery and decreased catecholamine levels[1,311,312]. Alpha lipoic acid (ALA) is known as thioctic acid in Europe where it is a prescription medication. It is a sulfurcontaining compound with antioxidant activity both in water and lipid phases[1,70,71]. Its use is well-established in the treatment of certain forms of liver disease and in the delay of onset of peripheral neuropathy in patients with diabetes. Recent research has evaluated its potential role in the treatment of hypertension, especially as part of the MS[318-321]. In a double-blind cross over study of 36 patients over 8 wk with CHD and hypertension, 200 mg of lipoic acid with 500 mg of acetyl-L-carnitine significantly reduced BP 7/3 mmHg and increased brachial artery diameter. The QUALITY study of 40 patients with DM and stageⅠhypertension showed significant improvements in BP, urinary albumin excretion, FMD and insulin sensitivity over 8 wk with a combination of Quinapril (40 mg/d) and lipoic acid (600 mg/d) that was greater than either alone. Lipoic acid increases levels of glutathione, cysteine, vitamin C and vitamin E, inhibits NF-κB, reduces endothelin-1, tissue factor and VCAM-1, increases cAMP, downregulates CD4 immune expression on mononuclear cells, reduces oxidative stress, inflammation, reduces atherosclerosis in animal models, decreases serum aldehydes and closes calcium channels which improves vasodilation, increases NO and nitrosothiols, improves endothelial function and lowers BP[1,318-321]. Lipoic acid normalizes membrane calcium channels by providing sulfhydryl groups, decreasing cytosolic free calcium and lowers SVR. In addition, lipoic acid improves insulin sensitivity which lowers glucose and advanced glycosylation end products which improves BP control and lowers serum triglycerides. Morcos et al, showed stabilization of urinary albumin excretion in DM subjects given 600 mg of ALA compared to placebo for 18 mo (p < 0.05). The recommended dose is 100 to 200 mg/d of R-lipoic acid with biotin 2-4 mg/d to prevent biotin depletion with long term use of lipoic acid. R-lipoic acid is preferred to the L isomer because of its preferred use by the mitochondria[1,32,71]. NAC: NAC and L arginine (ARG) in combination reduce endothelial activation and BP in hypertensive patients with type 2 DM. Over 6 mo 24 subjects given placebo or NAC with ARG, significantly reduced both systolic and diastolic BP (p = 0.05). In addition, ox LDL, HSCRP, ICAM, VCAM, fibrinogen and PAI-1 were decreased while HDL, NO and endothelial postischemic vasodilation increased. NAC increases NO via IL-1b and increases iNOS MRNA, increases glutathione by increasing cysteine levels, reduces the affinity for the AT1 receptor by disrupting disulfide groups, blocks the L type calcium channel, lowers homocysteine, and improves IMT[141,322-324]. The recommended dose is 500 to 1000 mg bid. Hawthorne extract has been used for centuries for the treatment of hypertension, CHF and other cardiovascular diseases[325-329]. A recent four-period crossover design, dose response study in 21 subjects with prehypertension or mild hypertension over 3½ d, did not show changes in FMD or BP on standardized extract with 50 mg of oligomeric procyanidin per 250 mg extract with 1000 mg, 1500 or 2500 mg of the extract. Hawthorne showed non inferiority of ACEI and diuretics in the treatment of NAC: NAC and L arginine (ARG) in combination reduce endothelial activation and BP in hypertensive patients with type 2 DM. Over 6 mo 24 subjects given placebo or NAC with ARG, significantly reduced both systolic and diastolic BP (p = 0.05). In addition, ox LDL, HSCRP, ICAM, VCAM, fibrinogen and PAI-1 were decreased while HDL, NO and endothelial postischemic vasodilation increased. NAC increases NO via IL-1b and increases iNOS MRNA, increases glutathione by increasing cysteine levels, reduces the affinity for the AT1 receptor by disrupting disulfide groups, blocks the L type calcium channel, lowers homocysteine, and improves IMT[141,322-324]. The recommended dose is 500 to 1000 mg bid. Hawthorne extract has been used for centuries for the treatment of hypertension, CHF and other cardiovascular diseases[325-329]. A recent four-period crossover design, dose response study in 21 subjects with prehypertension or mild hypertension over 3½ d, did not show changes in FMD or BP on standardized extract with 50 mg of oligomeric procyanidin per 250 mg extract with 1000 mg, 1500 or 2500 mg of the extract. Hawthorne showed non inferiority of ACEI and diuretics in the treatment of 102 patients with NYHC Ⅱ CHF over 8 wk. Patients with hypertension and type 2 DM on medications for BP and DM were randomized to 1200 mg of hawthorne extract for 16 wk showed significant reductions in DBP of 2.6 mmHg (p = 0.035). Thirty six mildly hypertensive patients were administered 500 mg of hawthorne extract for 10 wk and showed a non significant trend in DBP reduction (p = 0.081) compared to placebo. Hawthorne acts like an ACEI, BB, CCB and diuretic. More studies are needed to determine the efficacy, long term effects and dose of hawthorne for the treatment of hypertension. Quercetin is an antioxidant flavonol found in apples, berries and onions that reduces BP in hypertensive individuals[330,331] but the hypotensive effects do not appear to be mediated by changes in HSCRP, TNF-α, ACE activity, ET-1, NO, vascular reactivity or FMD. Quercetin is metabolized by CYP 3A4. Quercetin was administered to 12 hypertensive men at an oral dose of 1095 mg with reduction in mean BP by 5 mmHg, SBP by 7 mmHg and DBP by 3 mmHg. The maximal plasma level at 10 h was 2.3 ± 1.8 μmol/L, with return to baseline levels at 17 h. Forty one pre-hypertensive and stageⅠhypertensive subjects were enrolled in a randomized, double-blind, placebo-controlled, crossover study with 730 mg of quercetin per day vs placebo. In the stageⅠhypertensive patients, the BP was reduced by 7/5 mmHg (p < 0.05) but there were no changes in oxidative stress markers. Quercetin administered to 93 overweight or obese subjects at 150 mg/d (plasma levels of 269 nmol/L) over 6 wk lowered SBP 2.9 mmHg in the hypertensive group and up to 3.7 mmHg in SBP in the patients 25-50 years of age. The recommended dose of quercetin is 500 mg bid. Several of the strategic combinations of nutraceutical supplements together or with anti-hypertensive drugs, have been shown to lower BP more than the medication alone: (1) Sesame with beta blockers, diuretics and nifedipine; (2) Pycnogenol with ACEI and CCB; (3) Lycopene with ACEI, CCB and diuretics; (4) ALA with ACEI or acetyl -L Carnitine; (5) Vitamin C with CCB’s; (6) NAC with arginine; (7) Garlic with ACEI, diuretics and beta blockers; (8) Coenzyme Q10 with ACEI and CCB; (9) Taurine with magnesium; (10) Potassium with all antihypertensive agents; and (11) Magnesium with all antihypertensive agents. Many anti-hypertensive drugs may cause nutrient depletions that can actually interfere with their anti-hypertensive action or cause other metabolic adverse effects manifest through the lab or with clinical symptoms. Diuretics decrease potassium, magnesium, phosphorous, sodium, chloride, folate, vitamin B6, zinc, iodine and coenzyme Q10; increase homocysteine, calcium and creatinine; and elevate serum glucose by inducing insulin resistance. Beta blockers reduce coenzyme Q10. ACEI and ARB’s reduce zinc. Vascular biology such as endothelial and VSMD plays a primary role in the initiation and perpetuation of hypertension, CVD and TOD. Nutrient-gene interactions and epigenetics are a predominant factor in promoting beneficial or detrimental effects in cardiovascular health and hypertension. 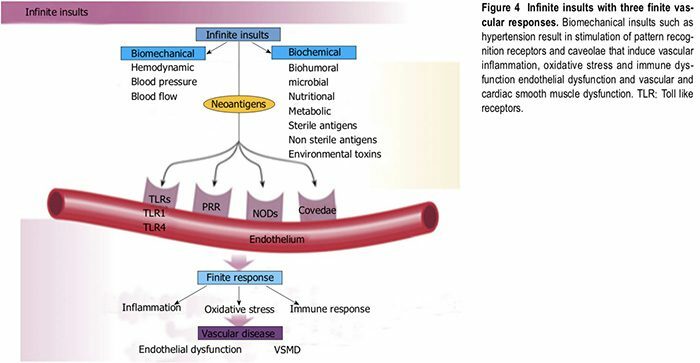 Food and nutrients can prevent, control and treat hypertension through numerous vascular biology mechanisms. Oxidative stress, inflammation and autoimmune dysfunction initiate and propagate hypertension and cardiovascular disease. there is a role for the selected use of single and component nutraceutical supplements vitamins, antioxidants and minerals in the treatment of hypertension based on scientifically controlled studies as a complement to optimal nutritional, dietary intake from food and other lifestyle modifications. A clinical approach which incorporates diet, foods, nutrients, exercise, weight reduction, smoking cessation, alcohol and caffeine restriction, and other lifestyle strategies can be systematically and successfully incorporated into clinical practice (Table 4). 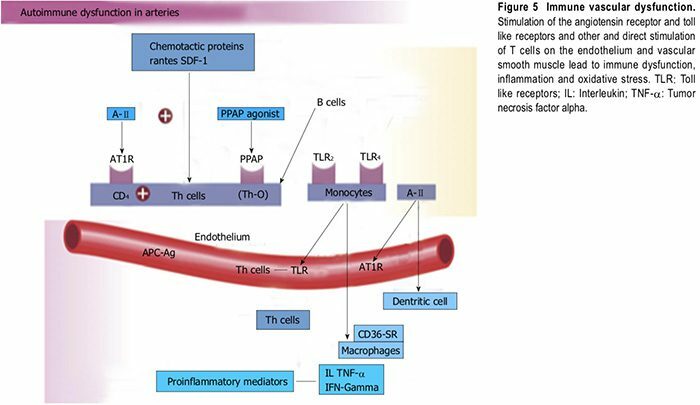 Vascular biology, endothelial and vascular smooth muscle and cardiac dysfunction play a primary role in the initiation and perpetuation of hypertension, cardiovascular disease and TOD. Nutrient-gene interactions and epigenetics are predominant factors in promoting beneficial or detrimental effects in cardiovascular health and hypertension. Macronutrients and micronutrients can prevent, control and treat hypertension through numerous mechanisms related to vascular biology. Oxidative stress, inflammation and autoimmune dysfunction initiate and propagate hypertension and cardiovascular disease. 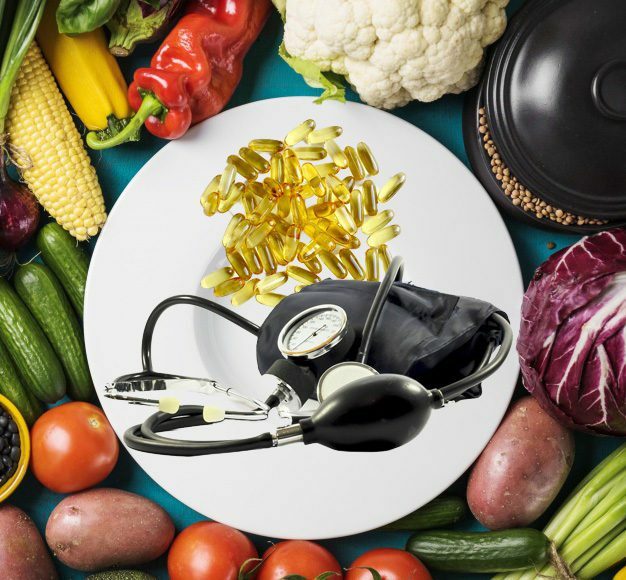 There is a role for the selected use of single and component nutraceutical supplements, vitamins, antioxidants and minerals in the treatment of hypertension based on scientifically controlled studies which complement optimal nutrition, coupled with other lifestyle modifications. a twelve-year retrospective on its nature and implications. their role in both the cause and treatment of hypertension. 5 Dandona P, Ghanim H, Chaudhuri A, Dhindsa S, Kim SS. Filer LJ Jr, eds. Present Knowledge in Nutrition, 7th Ed. receptor-mediated inflammation by bioactive phytochemicals. optimum nutrition: an evolutionary and phytochemical perspective. 13 Touyz RM. New insights into mechanisms of hypertension. 23 Kitiyakara C, Wilcox CS. Antioxidants for hypertension. enzymes, blood pressure and risk of hypertension. 2009; 19: 242-246 [PMID: 20382349 DOI: 10.1016/­j.­tcm.2010.02. RJ. Renal inflammation, autoimmunity and salt-sensitive hypertension. hypertensive patients: the effect of intensive blood pressurelowering. 2012; 6: 23-26 [PMID: 22047671 DOI: 10.1016/­j.­jash.2011. 46 Sun B, Williams JS, Svetkey LP, Kolatkar NS, Conlin PR. Pressure-Lowering Mechanisms of the DASH Dietary Pattern. Blood Pressure Trial (DASH-sodium): rationale and design. 2011; 13: 933-934 [PMID: 22142354 DOI: 10.1111/­j.1751-7176. 54 Weinberger MH. Salt sensitivity of blood pressure in humans. events in patients with essential hypertension. Shahin V, Riethmüller C, Macgregor GA, de Wardener HE. 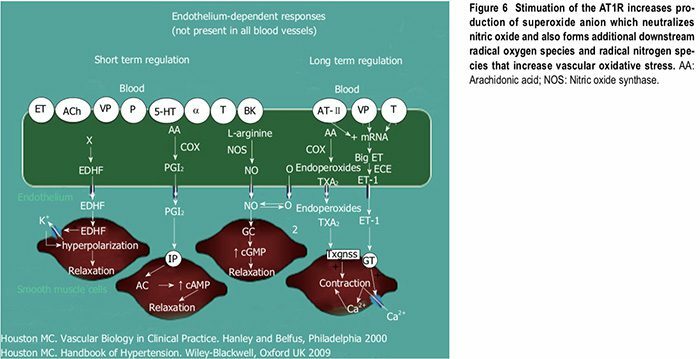 sodium and nitric oxide in vascular endothelium. minerals in the prevention and treatment of hypertension. other related variables in human subjects with idiopathic hypertension. status in the United States: are the health consequences underestimated? 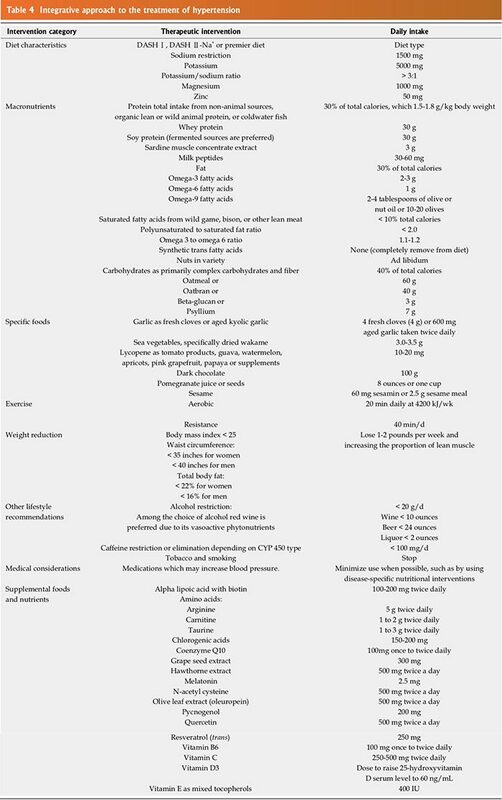 in cardiovascular disease–a review of the literature. the prevention and management of salt-sensitive hypertension. 91 Carpenter WE, Lam D, Toney GM, Weintraub NL, Qin Z.
Zinc, copper, and blood pressure: Human population studies. Group. INTERnational study of SALT and blood pressure. 2010; 5: e12102 [PMID: 20711407 DOI: 10.1371/journal. Trautwein EA, Lapsley KG, Josse RG, Leiter LA, Singer W.
reduce systolic blood pressure in European subjects? 108 Usinger L, Reimer C, Ibsen H. Fermented milk for hypertension. high-normal and normal blood pressure subjects]. reduction of blood pressure. Systematic review and metaanalysis]. 125 He J, Gu D, Wu X, Chen J, Duan X, Chen J, Whelton PK. in untreated essential hypertension: a cross-sectional study. heart: new therapeutic uses of nitric oxide donors. blood pressure in hypertensive patients with type 2 diabetes. 144 Miguel-Carrasco JL, Monserrat MT, Mate A, Vázquez CM. 147 Mate A, Miguel-Carrasco JL, Monserrat MT, Vázquez CM. therapeutic efficacy of L-carnitine in congestive heart failure. 156 Huxtable RJ, Sebring LA. Cardiovascular actions of taurine. 1999; 34: 253-260 [PMID: 10454450 DOI: 10.1161/01. 167 Mori TA. Omega-3 fatty acids and hypertension in humans. and serum lipids in Scottish men with hypertension and hypercholesterolemia. 174 Liu JC, Conklin SM, Manuck SB, Yao JK, Muldoon MF. and adrenal angiotensin receptors in hypertensive rats. 12: 600-606 [PMID: 7554782 DOI: 10.1111/j.1464-5491.1995. JF, Vita JA. Treatment of hypertension with ascorbic acid. mortality among a sample of the United States population. pressure in elderly patients with refractory hypertension. 207 McRae MP. Is vitamin C an effective antihypertensive supplement? 220 Motiwala SR, Wang TJ. Vitamin D and cardiovascular disease. 222 Kienreich K, Tomaschitz A, Verheyen N, Pieber TR, Pilz S.
Vitamin D and arterial hypertension: treat the deficiency! 224 Wang L, Ma J, Manson JE, Buring JE, Gaziano JM, Sesso HD. 225 Pfeifer M, Begerow B, Minne HW, Nachtigall D, Hansen C.
extract for prehypertension: a randomised controlled trial. and oxidative stress markers in grade I hypertensive patients. 245 Liu X, Wei J, Tan F, Zhou S, Würthwein G, Rohdewald P.
peptide from peptic digest of wakame (Undaria pinnatifida). their angiotensin-I-converting enzyme inhibitory activity. status in hypertensive patients taking different edible oils. Moriyama K. Antihypertensive effects of sesamin in humans. 266 Kurita I, Maeda-Yamamoto M, Tachibana H, Kamei M.
Sareban M, Eitel I, Blüher M, Schuler G, Thiele H. Low vs.
2005; 46: 398-405 [PMID: 16027246 DOI: 10.1161/01. humans: a nonlinear regression model with a Bayesian approach. 285 Chen ZY, Peng C, Jiao R, Wong YM, Yang N, Huang Y.
coffee on vasoreactivity and blood pressure. 2004; 43: 192-197 [PMID: 14732734 DOI: 10.1161/01. 290 Cavallo A, Daniels SR, Dolan LM, Khoury JC, Bean JA. Blood pressure response to melatonin in type 1 diabetes. 291 Cavallo A, Daniels SR, Dolan LM, Bean JA, Khoury JC. Blood pressure-lowering effect of melatonin in type 1 diabetes. 294 Rechciński T, Kurpesa M, Trzos E, Krzeminska-Pakuła M.
Nutr 2004; 23: 423-433 [PMID: 15158307 DOI: 10.1016/­j. Assoc 2011; 111: 1173-1181 [PMID: 21802563 DOI: 10.1016/­j. stress-induced injury by modulating NO-related pathways. interleukin-1beta-induced nitric oxide synthase expression. adults: a randomized, controlled cross-over trial. 333 Trovato A, Nuhlicek DN, Midtling JE. Drug-nutrient interactions. Cruciferous Vegetables Prevent Cancer 3 Ways El Paso, Tx.